Self-consumption instead of feed in. The self-consumption of the solar plant generated electricity becomes more important in background of declining feed-in tariffs. Basically the self-consumption can be increased by an intelligent power consumption: specifically during the day and very sunny times. Because the production of renewable energy does not depend on the weather, the time of the day or the demand so can the energy revolution accomplished only with equally intelligent storage technology. 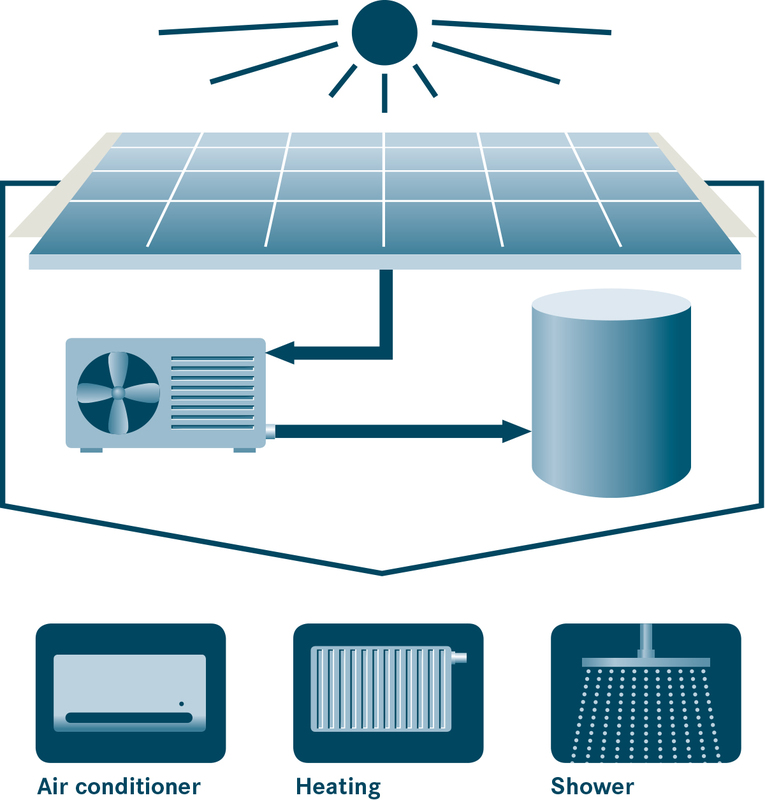 Efficient Photovoltaic heating-/cooling systems allow 100% self-consumption. 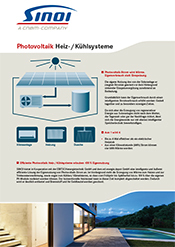 SINOI provides in cooperation with EBITSCHenergietechnik GmbH and ed energie.depot GmbH an intelligent and very efficient solution of self-consumption of photovoltaic-electricity. The focus is on the production of heat for heating and domestic hot water heating and even for cooling/air conditioning so that from spring to late autumn 100% can be realized on the own PV modules. The conventional boiler can be completely switched off at this time. Thereby it is clearly relieved and fuel and your wallet are protected. The system can be controlled by the inverters. Heat is generated when PV-electricity is available. This increases the PV-electricity-self-consumption. The electricity surplus produce by the PV-system must not longer be feed in the power grid. The heat is stored intelligently – in the “Wärme-Hamster”. Efficient energy storage represent the key for the success of the energy revolution. The warmed water is stratified, stored and provided for consumption in the “Wärme-Hamster”. What are the crucial features of a heat storage? … have excellent stratification properties. … are highly efficient by using composite. … safely operates over long time.